The all-new 2018 SQ5 is the perfect balance between function and athleticism. 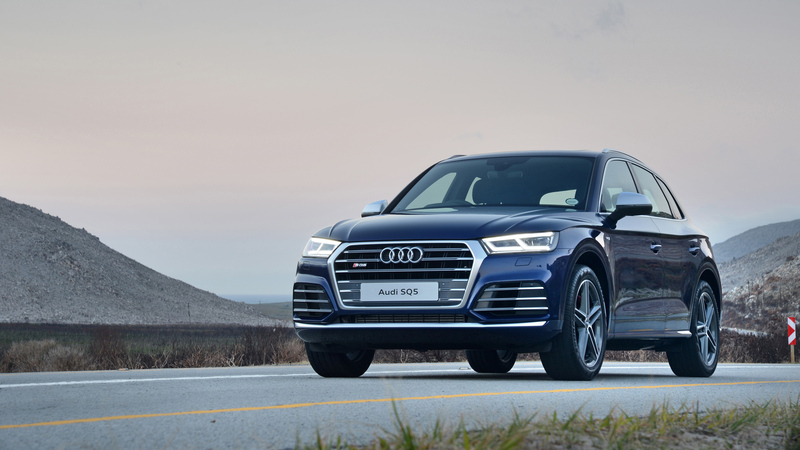 The SQ5 is designed to perform anywhere you go. Delivering 354 hp, this is Audi is no ordinary SUV. This brand new model features lowered suspension, unique body styling and quad exhaust tips. Equipped with Audi music interface and navigation and options such as Audi Virtual Cockpit and Head Up Display, this sporty SUV has it all! Lease the 2018 SQ5 today! © 2017 Audi Canada. *Limited time lease and finance offer available through Audi Finance on approved credit, on select new and unregistered SQ5 models. Dealer may sell for less. European models shown with optional equipment that may not be available at the time of purchase. Offers ends July 31st 2017 and are subject to change or cancellation without notice. Dealer order/trade may be necessary Lease example: 2018 SQ5 3.0 TFSI quattro Technik (stock #51015) with base MSRP of $74,916 (including $2,095 freight and PDI), at 3.9 % APR for 36 month term with $813 monthly payment. $5,800 down payment or equivalent trade-in, a security deposit of approximately one month’s lease payment and first monthly payment are due at lease inception. PPSA, license, insurance, registration, options, duties, any dealer or other charges and other applicable taxes are extra. Total due on delivery is $9,157. See dealer for details. Total lease obligation: $40,417 (excluding applicable taxes). Kilometre allowance of 16,000/year; charge of $0.3/km for excess kilometres. Additional fees and levies apply as follows: $100 air conditioning tax, $23 tire levy, $10 OMVIC fee $51 PPSA fee and $499 dealer admin fee, for a total list price of $75,527 monthly payments of $919 after tax and total lease obligation of $40,417.